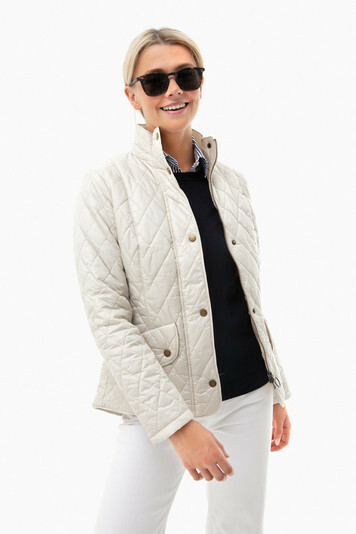 This quilted jacket is crafted with a diamond-quilted outer and an adjustable back waist. 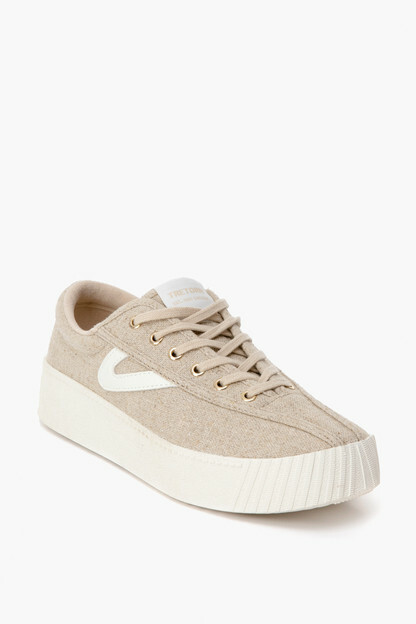 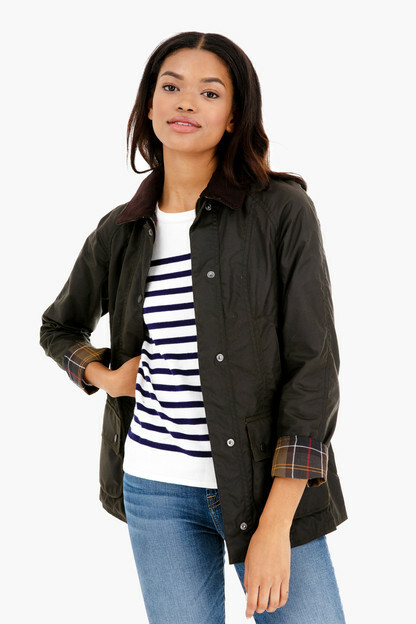 It is finished with flatteringly angled pocket flaps trimmed with tonal embroidery. 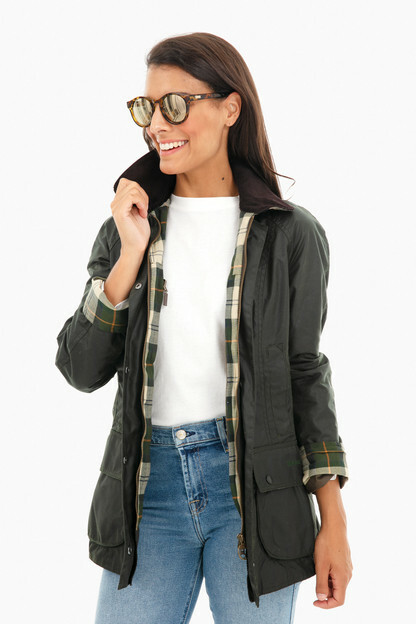 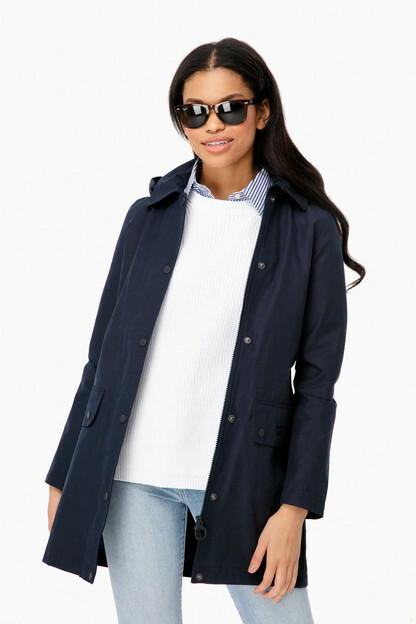 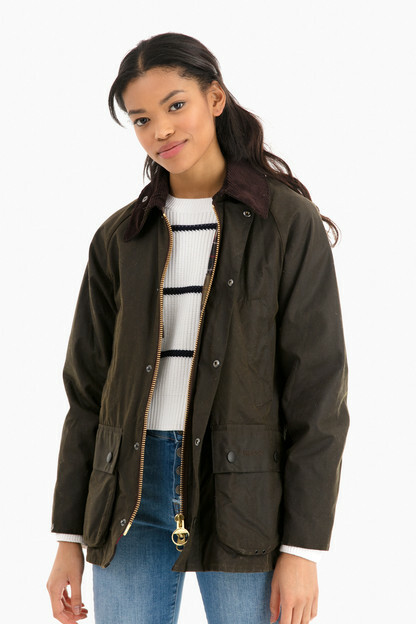 This jacket is the perfect weight and neutral color for Spring but I would recommend sizing up!